mir, 16 Jan 2014exellent phone no complaints just little big in size my best phone tell nowHi..Does xolo q3000 support screen mirroring? Does it supports Flip to mute? Pause on look away? and whether does it hav LED Indicator for messages? 2>i heard only 1Gb of internal storage is available for App installation. 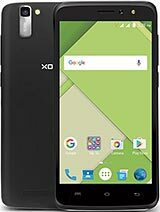 I want answer for Both question, plz help..
i have purchased this phone on 2nd jan 2014.its a marvellous phalet i have ever seen.it is just runnig like buttery smooth.it is worthy the best product when compared to other brands like samsung/sony and nokia.please dont purchase samsung nokia or sony.they are cheating people by providing less features at high cost.q3000 has excellent features,superb battery back up..only the flip cover is not good..out of 100 i gv 90 marks to this phone. 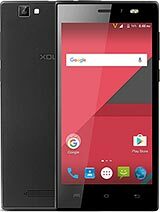 In Europe, it is sold named as Aquaris 5.7, sold by a Spanish company named BQ (also called FNAC 5.7 in Spain because of a partnership). Really worth every cent you spend. Best quality/price ratio. I have it since a week ago and there isn't any negative surprise. 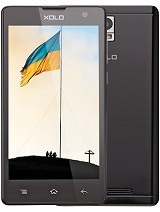 It is not a mobilephone for gamers, but if you want a smartphone that is powerful and big enough to be a tablet and you don't have even half the money to buy a Note, this is the phone for you. The only things I haven't tried is MHL, USB OTG and Miracast. It also carries software to connect to your PC by LAN, acessing Windows' shared folders and you can even watch a video streaming from your PC, without the need for DLNA or an app for the purpose, or also from FTP, or some popular Clouds like Dropbox (although this may be something that the BQ company adds to the phone and may not be present on the original XOLO version). The led for notifications is also a must. Very useful. It will also turn green when your phone is charged and turn red when it is charging (and will start flashing red when low on battery) and of corse, turns green when there is a new message/unanswered call/email/etc. The audio quality is good if not to say very good, but all I can tell is that it is really better than Samsung S Duos (my previous phone), and I'm not even using the included Dolby features. The dual-sim features are perfect. You can assign the sim card for any number (yes, numbers, not contacts) and not worry about using the wrong card. And, of course, the 4000mAh battery is really good. It is Dual-SIM, being the first a regular SIM card but the second is micro-SIM. 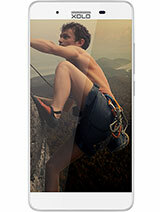 5.7in may be too big for many people, but if you really want or need a phablet you need a big screen. There are also some interesting camera features like HDR photos, Time-lapse recording and some special feature I don't remember the name right now, but it works like chroma key for movies (the green screen) but it only needs a constant background (just find some way of making your phone be standing still and recording). Like I said above, no bad surprises. Only good ones. 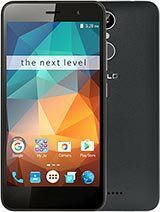 For the price range this phone is marvelous. 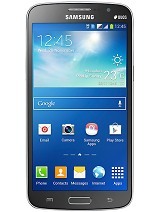 Does not boost about its performance, but simply works on all fronts as per the specs given. Worth penny. Vellamo – HTML5 1554, Metal 584. Multi touch : 5 points. AnonD-109076, 12 Jan 2014Is it available in local store? 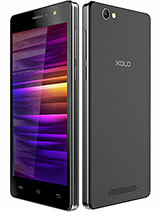 ( kolkata).can you plz provide me the customer care number for xolo?Toll free customer care # - 1800-30-100-104.
can somebody post the graphics frames (nenamark benchmark scores) of d gameplay on xolo q3000 pls. AnonD-220072, 12 Jan 2014black or white which is betterIf your are male then go for black, if you are girl or other gender then go for White. check out the complete reveiw and get answer for all your questions. Anonymous, 12 Jan 2014i bought the phone on 1-jan-14 and it was OK till yesterday. Suddenly while using camera, it s... morepls let me know abt d errors in d phone....nd is this phn worth buy ?